Sale of unpasteurized in Nairobi’s informal Dagoretti Market (photo credit: ILRI/Brad Collis). A case study recently posted on the Research for Development (R4D) website of the UK’s Department for International Development (DFID) reviews a policy change in Kenya that has greatly benefitted the country’s many small-scale milk vendors. The ‘raw’ (unpasteurized) milk sold by these milk hawkers has become safer, the poor milk sellers have made more profit, the poor consumers have more affordable milk to buy, and many unskilled people have been able to get jobs in small-scale milk enterprises and trade. In all, these benefits add up to more than USD33 million every year. The International Livestock Research Institute (ILRI) worked for a decade with the relevant Kenya Government ministries and the Kenya Agricultural Research Institute to bring about these pro-poor policy changes. This research was supported throughout by DFID and the Consultative Group on International Agricultural Research. ‘Evidence-based research by the DFID-funded Smallholder Dairy Project (SDP) revealed the economic and nutritional significance of the informal milk sector and the potential for improved handling and hygiene practices, which would ensure quality and safety of milk from farm to cup. 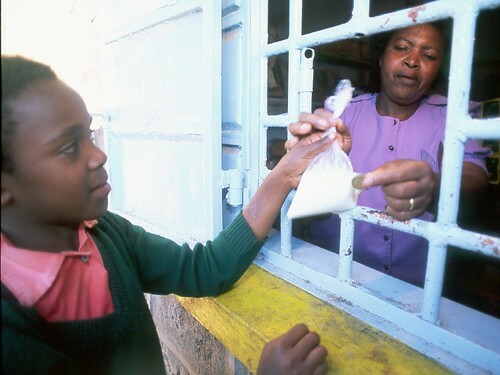 The second phase of the project (2002-2005) involved more active engagement with policymakers to raise awareness of its research findings on the informal milk market, its importance for livelihoods, and to allay public health concerns while simultaneously working with milk vendors to pilot training and certification approaches that effectively improve quality. Updated dairy industry regulations, designed to streamline licence application processes for smallscale milk vendors, were issued by the Ministry of Livestock and Fisheries Development (MoLFD) in September 2004. Read the full (5-page) case study: Policy change: Milking the benefits for smallscale vendors, DFID and ILRI, 2010. Leksmono, C., J. Young, N. Hooton, H. Muriuki, and D. Romney (2006), Informal traders lock horns with the formal milk industry: the role of research in pro-poor dairy policy shift in Kenya, Overseas Development Institute (ODI) and International Livestock Research Institute Working Paper No. 266, London/Nairobi. CGIAR Science Council, (2008), Changing dairy marketing policy in Kenya: The impact of the Smallholder Dairy Project, Science Council Brief Standing Panel on Impact Assessment No. 28. This entry was posted in Dairying, East Africa, ILRI, India, Kenya, MarketOpps, PA, Pro-Poor Livestock, South Asia, Tanzania, Trade, Uganda and tagged DFID, KARI, Kenya Ministry of Livestock and Fisheries Development, Smallholder Dairy Project by Susan MacMillan. Bookmark the permalink.